BRASÍLIA - O Investimento Estrangeiro Direto (IED) no acumulado de janeiro a setembro de 2011 é de US$ 50,4 bilhões, o maior valor da série iniciada em 1947 para o período. O resultado equivale a 2,79% do PIB, superior ao registrado nos nove primeiros meses de 2010, quando o IED somou US$ 22,557 bilhões ou 1,45% do PIB. Em todo o ano passado, o IED somou US$ 48,4 bilhões. O montante de IED registrado em setembro foi também superior ao observado em igual mês do ano passado, quando o investimento somou US$ 5,404 bilhões. Nos 12 meses encerrados em setembro, o IED acumula entrada de US$ 76,332 bilhões, o correspondente a 3,26% do PIB. Em relação ao tamanho da economia, o investimento produtivo cobre com folga o déficit em transações correntes, que soma o equivalente a 2,05% do PIB no mesmo período. O chefe do Departamento Econômico do Banco Central, Túlio Maciel, ressaltou que o déficit em transações correntes segue sendo completamente financiado pelo ingresso de IED. "Em setembro, o IED veio acima da nossa previsão e isso reflete a confiança dos investidores estrangeiro com o País". Maciel observou que o IED é menos influenciado por movimentos de curto prazo. "O ingresso é determinado por uma análise econômica de horizonte de tempo mais amplo, dada a maturidade que esses investimentos exigem", disse. O chefe do Departamento Econômico do BC observa que esses investimentos são determinados conforme "os fundamentos e as perspectivas de crescimento da economia". "A perspectiva é de que esses fluxos continuem entrando no País", disse, ao lembrar dos investimentos para a exploração do petróleo do pré-sal e os eventos esportivos de 2014 e 2016. Maciel que o fluxo de Investimento Estrangeiro Direto (IED) em outubro, até o último dia 21, está positivo em US$ 3,400 bilhões. Ele espera que esta conta encerre o mês com ingresso líquido de US$ 4 bilhões. No acumulado dos últimos 12 meses, o IED (de US$ 76,332 bilhões) tem o maior saldo da série em valores nominais e o resultado mais elevado desde dezembro de 2002 quando se analisa o dado em porcentagem do Produto Interno Bruto (PIB). BUENOS AIRES—Argentina depends so much on Brazil's giant economy that folks here say when it coughs, Argentina catches cold. Now that Brazil's economy has been slowing down and its currency weakening—partly due to shockwaves from the euro crisis—industrialists here fear that Brazil will buy fewer Argentine goods while trying to export more of its own products. The real's fall to about 1.77 from 1.59 per dollar since late August, "is really important" said Teddy Karagozian, president of TN&Platex, a Buenos Aires textile maker. So, he added, is Brazilian economists' projected slowdown of growth to as low 3%, less than half of last year's level. "There are lots of implications for Argentina," he said. Brazil's central bank Wednesday night cut the nation's benchmark interest rate, threatening to further widen the currency gap. Consider the chocolate war brewing between the two neighbors. In the past couple of weeks, Argentine chocolate and candy exports to Brazil have been bottled up, due to Brazil's move last month to impose import-licensing requirements for sweets. Argentine industrialists say the move underlines Brazil's way of responding to tougher times with protectionism. Not so, said a Brazilian trade ministry spokesman, who said Brazil was just trying to gather more information on imported products. Argentina must also cope with another spillover effect from the global financial turmoil: the recent weakness and volatility in the major Argentine cash crop, soybeans—whose value has fallen 10% over the past three months. Export taxes on soybeans, as well as other crops, account for close to 10% of government tax revenue, helping to fund politically popular social spending. President Cristina Kirchner, who looks like a shoo-in to win re-election Sunday, has had to take time from campaigning to confer with advisers on the fast-changing economic scene. She is riding high on an economy that has been growing at about 9% this year. But "more complicated times are coming," said Argentine economist Ricardo Delgado. Argentina's deputy economy minister, Roberto Feletti, said in a radio interview last week that Argentina "is in a good situation," despite the global unrest. 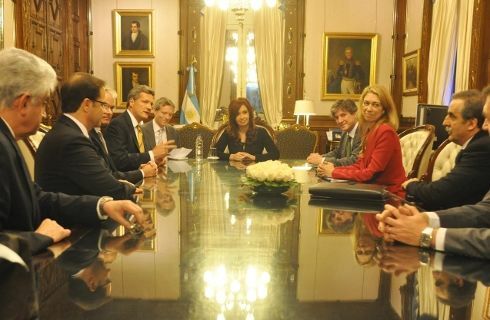 He emphasized the importance of the ties to Argentina's neighbor to the north. "The relationship with Brazil is decisive for Argentina, in terms of industry and exports and also politically," Mr. Feletti said. Argentines certainly hope Brazil comes through all right, since it is the market for about 20% of total Argentine exports, and 40% of manufactured ones. 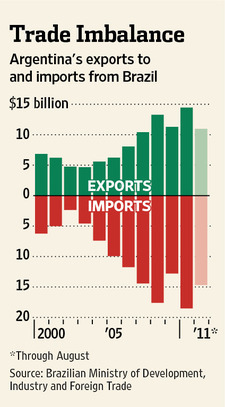 Even before the real weakened, Argentina had been running an annual trade deficit of around $4 billion with Brazil. The real had been rising against the dollar since the middle of last year, but fell some 17% against the greenback during the third quarter, due to international market pessimism triggered by the uncertainty in Europe, as well as an unexpected interest-rate cut by Brazil's central bank on Aug. 31. No one wants to carry the parallel too far, but Argentine industrialists point out that in 1999 a devaluation of the real contributed to a recessionary spiral that would eventually end in an Argentine financial crisis. The economies of both rivals have done well in recent years, thanks to strong global commodity prices. But their governments have applied contrasting strategies for managing prosperity. "Argentina prioritized growth at the expense of inflation and Brazil bet on less growth with deflation of the exchange rate and maintaining stability," José Ignacio de Mendiguren, head of the Argentine Industrial Union, the major industry association, said recently. "I like our model better." Indeed, brisk domestic demand has pushed production by Argentine shoemakers to a record 115 million pairs this year, eight million more than in 2010, said Alberto Sellaro, president of the Argentine shoemakers' trade group. Even more vulnerable to the economic turbulence in Brazil is the big Argentine auto sector, said Gustavo Segre, the Sao Paulo-based CEO of Center Group, a trade and business consultancy. About 80% of Argentine auto exports go to Brazil, he noted. Mr. Segre said Brazilian car dealers' stock has been running far above the normal level, which will likely mean cutbacks to Argentine plants. One scenario for Argentina is accelerating the depreciation of the peso to keep pace with the real, said Maria Belen Avellaneda Kantt, an analyst at the Argentine Center for International Studies. But Argentina can't speed up the devaluation too much because it further kindles inflation, already running at around 25%, and also tends to fuel capital flight among Argentine savers, economists say. The full effect of the weaker real may not be felt until year- end, said Miguel Faraoni, who runs a toy-making company called Chikitos, and also heads the toy industry association. More competition near Christmas isn't something Argentine toy makers relish. He said local industry needs some sort of assistance after the election because even without a weaker real, "for 10 years, the trade balance in the toy industry has been favorable to Brazil by 300% to 400%." BUENOS AIRES (Dow Jones)--Argentina's government said Friday that farm equipment maker AGCO Corp. (AGCO) has agreed to invest $140 million in a new factory that will produce tractors and motors in the South American nation. AGCO agreed to open the factory as part of the government's policy of requiring companies to match their imports and exports, the Industry Ministry said in a statement. "Argentina will need 250,000 tractors during the next 10 years. We can't give away that kind of demand," Industry Minister Debora Giorgi said. "We are promoting investment and an increase in the local production of agriculture equipment to satisfy that growing demand," she added. The ministry said the new factory will have a production capacity of 3,500 tractors a year, allowing AGCO to increase its output 50% from current levels. 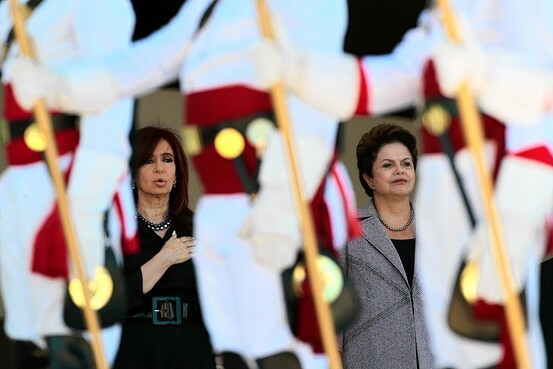 President Cristina Kirchner has made the substitution of imported manufactured goods a key part of her economic program. The automotive industry, Argentina's largest manufacturing sector, has come under increasing pressure to source more of their parts locally, as well as export goods like chicken feed, wine and olive oil. Agriculture-machinery makers have also started to come under similar pressure to make their equipment in Argentina or risk being shut out of one of the world's biggest farming nations. Argentina is No. 1 in global soymeal and soyoil exports, and second in corn exports. Kirchner's carrot-and-stick approach has so far worked with a number of manufacturers announcing plans to open new factories. Earlier this year, Deere & Co. (DE) said it will start making tractors, combines and parts in Argentina, while Italy's Fiat SpA (FIATY, F.MI) said it will invest $100 million in a factory to make Case IH and New Holland brand combines and tractors. Besides creating thousands of blue-collar jobs, Kirchner's import-substitution policies are aimed at arresting the decline in Argentina's trade surplus. The surplus is expected to shrink to about $8 billion this year on the torrid growth in imports, compared with $11.63 billion in 2010. La realizará la empresa AGCO, uno de los mayores fabrincantes mundiales de maquinaria agrícola. Buenos Aires.- La empresa AGCO, uno de los mayores fabricantes mundiales de maquinaria agrícola, anunció hoy la construcción de una nueva planta para producir en Argentina y vender al exterior tractores, maquinaria vial y motores, con una inversión estimada de 140 millones dólares. Directivos de la compañía firmaron con la ministra de Industria, Débora Giorgi; el viceministro de Economía, Roberto Feletti, y el secretario de Comercio Interior, Guillermo Moreno, un convenio por el cual la empresa se compromete a producir y exportar para equilibrar su balanza comercial. Con la nueva fábrica aumentará un 50 por ciento la cantidad de tractores actualmente fabricados en el país e incorporará las marcas Challenger, Massey Ferguson y Valtra, hasta ahora importadas. El convenio contempla además que las máquinas producidas por Agco en Argentina tengan más de la mitad de sus partes y componentes fabricados en el país y se promoverá también la exportación a Brasil de los agropartistas locales que fabrican para Agco Argentina. "Argentina necesitará en los próximos 10 años 250.000 tractores, no podemos regalar semejante demanda interna", advirtió Giorgi y aseguró que "estamos impulsando la inversión y el incremento de la producción local en maquinaria agrícola para satisfacer esa demanda creciente". La ministra resaltó: "Es fundamental este cambio de estrategia de la empresa en Argentina y eso es producto de lo que representa nuestro mercado de maquinaria agrícola". Agco presentó este plan de inversiones para equilibrar la balanza comercial, exigido por el Gobierno Nacional a las empresas del sector para nivelar el flujo de sus exportaciones respecto de sus importaciones. "Construiremos una nueva planta de producción ratificando nuestro compromiso de invertir de una manera significativa en el mercado argentino sustituyendo las importaciones e incrementando las exportaciones", afirmó Frank Keller, Vicepresidente y Gerente General de AGCO Argentina. SAO PAULO, BRAZIL--(Marketwire - Oct 10, 2011) - Case New Holland (CNH), a global leader in the agricultural and construction equipment business, today announced a new strategic partnership with Semeato, the Brazilian market leader in attachments and agricultural machinery, specializing in technologies for no-till planting and seeding of grains. This partnership will allow the two companies to make further use of their respective areas of expertise: CNH with tractors, sprayers, combines, forage and other agricultural equipment of all classes and power ranges; and Semeato with leading technology on planters and seeders in Latin America. The CNH - Semeato strategic long-term partnership will involve several collaboration areas to continuously drive CNH leadership in the Latin American market. Semeato products will be sold branded Semeato, Case IH and New Holland Agriculture through the respective dealer networks. In addition, the engineering departments of the two companies will develop products jointly, designed to maximize performance of the CNH tractor lines. "Case New Holland is committed to providing its Latin American clients with leading products in the sector which meet the highest standards of performance and productivity," asserted Harold Boyanovsky, CEO and President of CNH. "Our partnership with Semeato -- one of the most respected companies in the Brazilian agricultural machinery sector -- is a sign of our intention not only to be at the forefront of planting technology, but also to be a leader in this sector. Through this agreement, CNH is able to offer planters and seeders which are suited to the needs of our clients, whatever the client may require, regardless of size or activity within agribusiness," Boyanovsky added. "We are very excited about the prospect of leveraging our market leadership positions for the benefits of our customers in Latin America and beyond," Roberto Rossato, CEO and President of Semeato. "Our products will create a powerful innovative solution to meet evolving customer demands." CNH Global N.V. is a world leader in the agricultural and construction equipment business. Supported by approximately 11,300 dealers in around 170 countries, CNH combines the knowledge and tradition of its Case and New Holland brand families with the strength and resources of its global commercial, industrial, product support and financial organizations. CNH Global N.V., whose shares are listed on the New York Stock Exchange (NYSE:CNH), is a majority owned subsidiary of Fiat Industrial S.p.A. (MI: FI). More information about CNH and its Case and New Holland products can be found on-line at www.cnh.com. La empresa John Deere invertirá 130 millones de dólares para fabricar tractores y cosechadoras en la Argentina, y además duplicará la producción de motores. Directivos de la empresa John Deere presentaron un plan de inversiones por 130 millones de dólares hasta el 2015 para ampliar su planta ubicada en Granadero Baigorria, provincia de Santa Fe. En esa fábrica comenzarán a producir tractores y cosechadoras, y duplicarán la fabricación de motores. La iniciativa generará 300 puestos de trabajo directos y 1.000 indirectos, sustituirá importaciones por 120 millones de dólares al año y aumentará las exportaciones de la empresa. El anuncio lo realizó Mark von Pentz, Presidente mundial de la división agrícola de John Deere, durante un encuentro con la Presidenta Cristina Fernández de Kirchner, del cual participaron además Aaron Wetzel, Vicepresidente de Marketing y Ventas América Latina; Alfredo Miguel Neto, Director de Asuntos Corporativos en América Latina; Antonio García, Presidente de Industrias John Deere Argentina, Sergio Fernández, Director de Industrias de John Deere Argentina; la Ministra de Industria, Débora Giorgi; el Ministro de Economía, Amado Boudou, y el Secretario de Comercio Exterior, Guillermo Moreno. "La inversión de John Deere se encuadra en las políticas de sustitución de importaciones, sobre todo en un sector como el de maquinaria agrícola, cuya producción ha crecido un 170% desde 2003, pero que necesita un salto en calidad y escala para autoabastecer el creciente mercado interno para no depender de las importaciones -fundamentalmente en el segmento de autopropulsados- y también exportar", expresó la Ministra Giorgi. Por su parte, Mark von Pentz afirmó que "por medio de esta inversión, John Deere busca fortalecer aún más su presencia en el mercado argentino, reafirmando una vez más su compromiso con el desarrollo económico y social del país". La inversión de la empresa está destinada a ampliar su fábrica para iniciar una línea de montaje de siete modelos de tractores y cuatro de cosechadoras (que hoy son importados en su totalidad), ampliar la capacidad instalada en su planta de motores diesel que le permitirá fabricar 30.000 unidades al año, y comenzar a producir una nueva línea de motores de 3 cilindros, que no se producen localmente. El inicio de la producción está previsto para junio de 2012, y permitirá equilibrar la balanza comercial de la empresa a partir de 2012 sustituyendo importaciones y aumentando exportaciones propias a la región por U$s 155 millones al año y de terceras empresas (proveedoras y usuarias de la red de comercialización de la marca). Asimismo, la empresa se comprometió a alcanzar en sus maquinarias un contenido de componentes nacionales del 55%, sujeto a disponibilidad de partes y componentes locales en condiciones de precio, cantidad y calidad. Milton Rego, vice-presidente da Anfavea e diretor de comunicações e relações externas da CNH (foto), garante: a agricultura brasileira vai crescer no médio e longo prazos, os personagens ligados ao agronegócio vão ganhar dinheiro e o País terá relevância crescente no cenário global como fonte decommodities agrícolas. Ele adverte, no entanto, que incertezas sazonais como o câmbio, taxas de juro, clima, pragas e políticas governamentais tornam difícil fazer projeções com precisão em curto prazo. Ainda assim, ele se arrisca a estimar que o mercado de máquinas agrícolas (a lista inclui também máquinas de construção, como tratores de esteiras e retroescavadeiras) recuará para 63 mil unidades este ano (68,5 mil em 2010). As exportações devem ficar em 18,7 mil unidades (repetindo 2010) e a produção na casa de 81,7 mil unidades (88,7 mil em 2010). Os volumes representam uma revisão nas previsões da Anfavea, que registram vendas internas de 68,5 mil, exportação de 17,8 mil e montagem de 85,2 mil unidades. O recuo é de 8% na produção e vendas internas. E quanto ao próximo ano? Em cenário conservador, haverá queda de 5% a 10% na produção de máquinas agrícolas, voltando-se aos níveis de 2009, mas um estímulo à agricultura familiar pode melhorar o panorama. Uma retomada, em todo caso, ocorrerá em 2013. A indústria de máquinas agrícolas, que fornece tratores, colheitadeiras e implementos, acompanha a curta distância os movimentos do PIB agrícola, com algumas dissonâncias que podem ser provocadas por programas especiais de incentivo à mecanização e ganhos de produtividade. Um trator básico, de 75 cavalos, vale cerca de R$ 60 mil, mas no outro extremos pode-se investir até R$ 400 mil para adquirir um outro, de 300 cavalos, no estado-da-arte, capaz de trabalhar até mesmo sem interferência do operador. Já uma colheitadeira das mais caras custa R$ 900 mil e, ao contrário do que se pensa, depende ainda de um bom operador para reduzir as perdas para 0,2% do potencial da colheita ou até 0,1%, se o ritmo de operação for mais lento. O georreferenciamento, com base em GPS, leva a ganhos extraordinários, permitindo mapear áreas de plantio, fazer correções do solo em áreas determinadas e reduzir a quantidade de insumos utilizados. "Até mesmo os médios agricultores já recorrem a essa prática, que traduz economia", assegura Rego, lembrando é possível abreviar o tempo da cultura, obter maiores volumes e melhores preços. O Moderfrota, instituído em 2000 para estimular a mecanização, foi bem nos primeiros quatro anos, com taxa de 12% (metade da Selic) e provocou um importante rejuvenescimento da frota. "Máquinas velhas perdem produtividade. Acima de doze anos de idade, provocam desperdício de 5%, elevadíssimo", explica Rego. Mas o Moderfrota começou a fazer água em 2005, com inadimplência elevada no programa, apesar das tentativas de promover a renegociação de dívidas. Os bancos se abstiveram de oferecer o financiamento e o setor só recuperou o crédito em 2009, com o Finame PSI, a taxas de 5,5% e um empurrão do mercado em alta. Na época o Moderfrota registrava 9,5% de juros. O número de tratores e máquinas agrícolas em operação no país é um mistério. O IBGE calculou a frota de tratores de rodas em 788 mil unidades ao final de 2006, mas a contagem não descontou os veículos aposentados ou de baixa utilidade. Para fazer planejamento, as associadas da Anfavea lançam mão de estimativas de escrapeamento de máquinas e veículos, estipulando em 450 mil o número efetivo. Com base nessa contabilidade, a Anfavea estima que são necessários 35 mil a 40 mil tratores e 4,5 mil a 5,0 mil colheitadeiras novas, todo ano, para manter as necessidades do agronegócio, sem contar a expansão na área cultivada. Na Argentina, onde a safra corresponde a 90 milhões de toneladas (no Brasil são 160 mil), as áreas são relativamente pequenas e permitem a fazendeiros aproveitar de forma cooperativada as frotas de colheitadeiras. "Há até frotistas que vendem serviços na colheita, coisa que não funciona no Brasil em vista das grandes distâncias envolvidas", afirma Rego. No mundo todo há subsídio à agricultura, em maior ou menor grau. No Japão ele explode para 40% e, na outra ponta, a Nova Zelândia fica nos 5%. Os Estados Unidos vão aos 12%, a União Europeia a 25%. O Brasil anda próximo dos 8%: o produto interno agrícola beira os US$ 180 bilhões, enquanto o governo aplica US% 15 bilhões em financiamentos, garantia de preço mínimo e perdão de dívidas. O apoio do governo ao setor agrícola costuma ser criticado e há quem defenda um programa baseado em seguro de renda acessível. Os seguros existentes cobram até 30% como prêmio, patamar considerado absurdo mas coerente com o baixo volume de clientes e o alto risco 'coletivo' de prejuízos, como em caso de condições climáticas que arrasem a produção de forma indiscriminada. No final de 2008 foi lançado o Mais Alimentos, programa de financiamento a núcleos familiares com limite de R$ 130 mil. A iniciativa provocou a aquisição de 40 mil tratores de pequeno porte e permitiu a agricultores vizinhos se unir para comprar pequenas colheitadeiras em parceria, mas o modelo aplicado à região sul do País se esgotou rapidamente. Só mesmo um refinamento do programa permitiria prever sucesso em outras regiões. Rego enfatiza que a indústria de máquinas agrícolas está madura no país, alcançando níveis de primeiro mundo na aplicação de tecnologias. As importações de tratores e colheitadeiras são bastante limitadas, mas as exportações estão em nível razoável, equivalente a 23% da produção. Para ele, há um tendência no crescimento da potência dos tratores, embora o avanço da agricultura familiar tenha propiciado avanços nos patamares mais baixos do mercado. "Criamos um novo mercado nessa faixa", afirma o executivo. 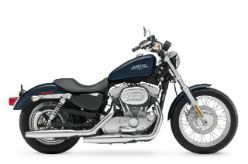 A Harley-Davidson inaugurou esta semana a primeira concessionária da marca no Rio de Janeiro e a oitava no Brasil, desde que a matriz assumiu as operações no País. Com 3.000 m², a RIO Harley-Davidson está localizada na Avenida das Américas, 14.800, no Recreio dos Bandeirantes, e irá comercializar modelos clássicos, como as famílias Sportster, Dyna e Fat Boy, além de oferecer serviços e acessórios com padrão internacional da HD. A inauguração da loja chega a tempo de preparar o terreno para o Rio Harley Days, maior evento da marca norte-americana na América Latina, que acontece entre os dias 4 e 6 de novembro na Marina da Glória. Brazil has for centuries been a leading producer and exporter of the world's breakfast, or soft, commodities -- orange juice, coffee, sugar and cocoa. But over the past two and a half decades since opening to foreign investment, Latin America's largest economy has also become a leading producer of important grains and meats, through investments in technology and land. * BEEF: Brazil has the largest commercial cattle herd on the planet, at around 200 million head. Although it consumes about 80 percent of its beef, Brazil still manages to be the world's largest exporter of the meat. It produces mostly Indicus breeds such as the Zebu and Nelore, which are best suited to tropical climates, and most of the herd is grass-fed. * POULTRY/PORK: With a fast-expanding grain belt, Brazil has leveraged its corn and soy production to become the world's largest exporter of poultry meat and a fast-growing exporter of pork. Feed accounts for about 70 percent of pork and poultry production costs. * SOYBEANS: After the creation of commercial soybean varieties suitable for its tropical growing areas in the 1970s, Brazil soon vaulted to become the world's No. 2 soybean producer and exporter and one day will likely overtake the United States as the leading producer of the oilseed. * CORN: Until recently it has been only a marginal corn exporter, keeping 95 percent of the 55 million tonnes-plus of corn produced at home to feed its booming pork and poultry industries. But in the past several years, Brazil has exported around 7 million to 11 million tonnes a year, making it the No. 3 world exporter of the grain. * COTTON: Brazil was only a marginal producer of cotton but burst into prominence this year, jumping into the No. 4 slot among world exporters of the fiber. This comes on the heels of winning an international dispute at the World Trade Organization against U.S. subsidies. Brazil produces close to 2 million tonnes of high-grade, long-fiber cotton lint. * TIMBER: With abundant rain, sun and land inside the tropics, Brazil -- as with most of the above crops -- is the world's lowest-cost producer of pulp from timber. Eucalyptus trees in Brazil have a growing cycle of about seven years, compared with 10 to 12 years in Chile and 25 years in North America and Europe. * SUGAR: As the world's largest producer and exporter of the sweetener, Brazil controls half the world's sugar market. * COFFEE: The world's largest producer and exporter, Brazil produces between 35 million and 55 million 60-kg bags of coffee annually, mostly arabica. It controls about 30 percent of the international market in the bean. * ORANGE JUICE: As the world's largest producer and exporter of frozen, concentrated orange juice, it accounts for roughly one in every two glasses of concentrated orange juice consumed in the world today. * COCOA: Brazil ranks sixth among the world's cocoa growers but was No. 2 only a few decades ago until witch's broom disease devastated its plantations, slashing output by more than half. * TOBACCO: Brazil is the world's largest producer of tobacco, cultivation of which is concentrated in the southern growing states. * ETHANOL: Brazil is typically the world's largest exporter of cane-based ethanol, shipping around 3 billion liters a year. This pales in comparison with the 23-28 billion liters that it produces annually for the domestic flex-fuel car fleet. O Estaleiro CMO - Construção e Montagem Offshore, o terceiro a atracar em Suape, terá o início das obras em dezembro deste ano e operação prevista para o final de 2012, segundo informações enviadas pela assessoria de Imprensa do Governo do Estado por volta das 20h de ontem. O investimento totaliza R$ 720 milhões, com 500 empregos diretos. O grupo tem a Petrobras como principal cliente e está participando de nove processos licitatórios para a construção de plataformas de exploração de petróleo. O acordo para instalação do estaleiro foi firmado em reunião do governador em exercício, João Lyra Neto, e executivos da empresa. Segundo o Governo de Pernambuco, cada plataforma construída custará em torno de R$1 bilhão e demandará a mão de obra de sete mil pessoas. A nova fábrica será erguida em Suape e ocupará uma área 40 hectares do Complexo. Serão construídos módulos para plataformas marítimas fixados em estruturas flutuantes que extraem petróleo do fundo do mar em grandes profundidades. O Governo arcará com contrapartida de R$ 295 milhões, oriundos do BNDES, destinados à dragagem do terreno. A reportagem entrou em contato com a Secretaria de Desenvolvimento Econômico e com o Complexo Industrial Portuário de Suape, que, assim como a assessoria do Governo, não disponibilizaram porta-voz. A Deere & Company anunciou, em 03 de outubro, que planeja construir duas novas fábricas no Brasil para acompanhar a demanda crescente do mercado brasileiro por equipamentos de construção e de outros países da América do Sul. O investimento total será de aproximadamente US$ 180 milhões, dos quais US$ 124 milhões serão investidos apenas pela Deere. "O Brasil é um dos mercados para equipamentos de construção que mais cresce no mundo", disse Samuel R. Allen, presidente e CEO da Deere & Company. "O anúncio de hoje representa mais um passo na nossa estratégia de atender clientes de equipamentos de construção nos principais mercados do mundo." As duas fábricas serão construídas em Indaiatuba, no Estado de São Paulo. Uma das fábricas será de propriedade exclusiva da Deere e fabricará retroescavadeiras e pás-carregadeiras de rodas. A outra fábrica será uma parceria entre a Deere e a Hitachi Construction Machinery Ltda. e fabricará escavadeiras. "Nós vemos oportunidades significativas de negócio para nossos equipamentos de construção nesta região. Acreditamos que a Deere pode usufruir de toda a estrutura e do conhecimento que já temos nesta região”, afirmou Michael Mack, presidente da Divisão Global de Construção e Florestal da John Deere. "O Brasil se mantém em um ambiente positivo, de grande crescimento e investimento em infraestrutura, dando-nos a confiança necessária para expandir o negócio de construção por meio desses investimentos”, complementou. De acordo com Michijiro Kikawa, presidente e diretor executivo da Hitachi Construction Machinery Ltda, "desde que a parceria de empreendimento conjunto formal começou em 1988, a Hitachi tem trabalhado exclusivamente com a John Deere no continente americano para estabelecer uma presença líder no mercado de escavadeiras hidráulicas. Este novo empreendimento conjunto está focado especificamente no Brasil e permite que a Hitachi e a John Deere fortaleçam sua sólida relação com oportunidade de crescimento de longo prazo." Segundo a Deere, a linha de produtos fabricada no Brasil será complementada por importações de outras fábricas, a empresa também pretende estabelecer uma rede de distribuição para vender os equipamentos e fornecer serviços de manutenção, similarmente à respeitada organização de concessionárias de equipamentos de agricultura da John Deere no Brasil. A Deere já tem uma forte presença no Brasil, abastecendo os mercados de máquinas de agricultura e florestal, com três fábricas de equipamentos de agricultura, um Centro de Distribuição de Peças para a América do Sul, um banco operado pelos Serviços Financeiros John Deere e uma unidade da John Deere Water, uma das maiores empresas de irrigação do mundo. A Deere espera que os equipamentos produzidos nas novas fábricas obtenham o nível de conteúdo doméstico exigido pelo BNDES. As fábricas podem vir a ter uma força de trabalho de mais de 600 funcionários, dependendo da demanda do mercado pelos produtos. Empregos indiretos também serão criados pelos fornecedores e outras empresas que fornecem serviços às fábricas. "A John Deere está investido mais de US$ 3 milhões por dia em pesquisa e desenvolvimento de novos produtos e serviços, aumentando, assim, a tecnologia disponibilizada a nossos clientes. Nossas novas fábricas no Brasil nos darão a oportunidade de levar essa tecnologia para nossos clientes brasileiros”, afirmou Mack. A construção das fábricas deve começar no início de 2012, e a fabricação de produtos, no final de 2013. A Deere e a Hitachi já possuem um empreendimento conjunto nos Estados Unidos no qual produzem escavadeiras. Além disso, as duas empresas possuem um acordo de marketing nas Américas. As vendas e receita da Deere & Company alcançaram 26 bilhões de dólares no ano fiscal de 2010.